Another fine collection of short stories by H.P. 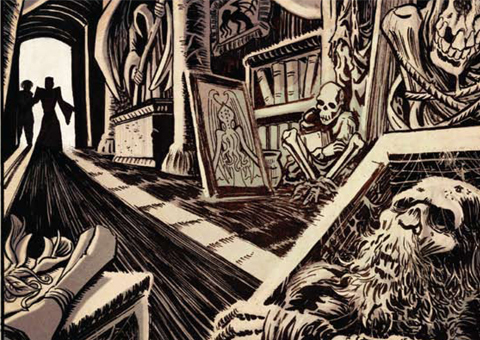 Lovecraft have been brought to life in this graphic novel released by SelfMadeHero. Collected in this volume are: Pickman's Model, The Temple, From Beyond, He, The Hound, The Nameless City, The Picture In The House, The Festival, The Statement Of Randolph Carter. Of course the one story that horror fans that are unaware of other works by Lovecraft will recognise is From Beyond. This was turned into a movie by Stuart Gordon in 1986 that starred Jeffrey Combs and Barbara Crampton. Just like the first volume (review here) the stories are written and drawn in various forms by an array of writers and artists. If you have read any of Lovecraft's short stories in book form your imagination would have been sure to give you haunting imagery as you read.You will have to be the judge on whether the images in this graphic novel live up to your imagination. 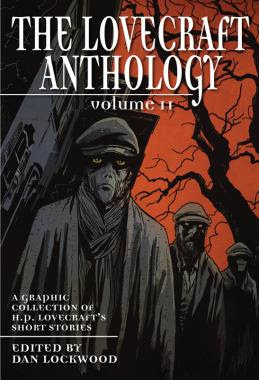 The Lovecraft Anthology: Volume 2 is published by SelfMadeHero and is out now. (128 pages, colour. Available in paperback and kindle edition. ).